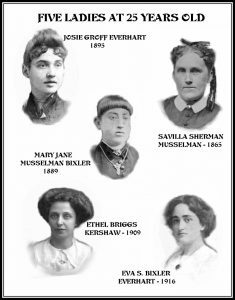 Here is a unique idea if you have several photos of female ancestors who were mothers. Create a collage of photos any and all family females (grandmothers, siblings, aunts, cousins), including present-day who were / are mothers. You gather the available photos (ask other family members also), even if other individuals are in the picture (the female can be cropped solely). Then each individual photo (a headshot if available) is placed on a photo page and labeled. Do place the female’s full name, birth and death, and how many children they had. 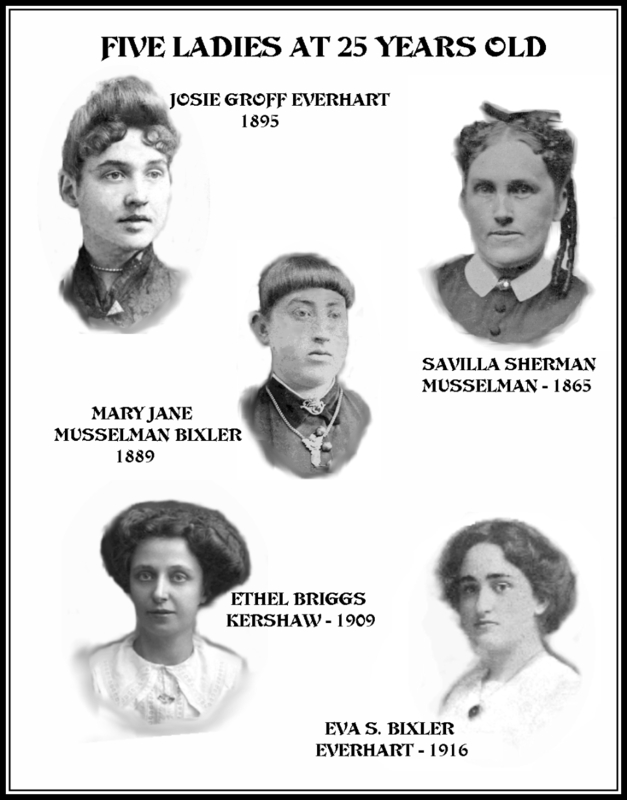 If you have several images of female relatives you can divide it into 19th and 20th century. If you lack the skills to crop photos and place on a separate image software program and label each, you can still gather the photos and information, then locate in your town a graphics operator or even a chain store such as Staples or Office Depot to see if they can assemble the college. Have each completed college page printed on good photo paper and as many copies as needed to share with relatives, especially your own mother, aunt and grandmother if still living. It is a special tribute to the mothers in on your family tree. It is also so neat to see the resemblance in appearance to these family ladies. 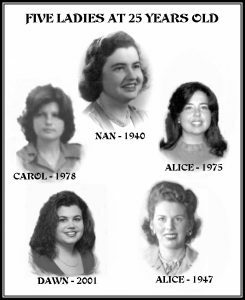 The examples shown on this blog were a simpler idea, where I had photos of family women when they were age 25. It was a gift to a niece in the family when she turned age 25. It really is a treasured gift. If it is not completed this Mothers’ Day, include in a card to Mom that something extraordinary is being prepared and to be presented soon. She would never guess. Photos: 19th century photo collage of family females at age 25 and 20th century photo collage of family females at age 25.